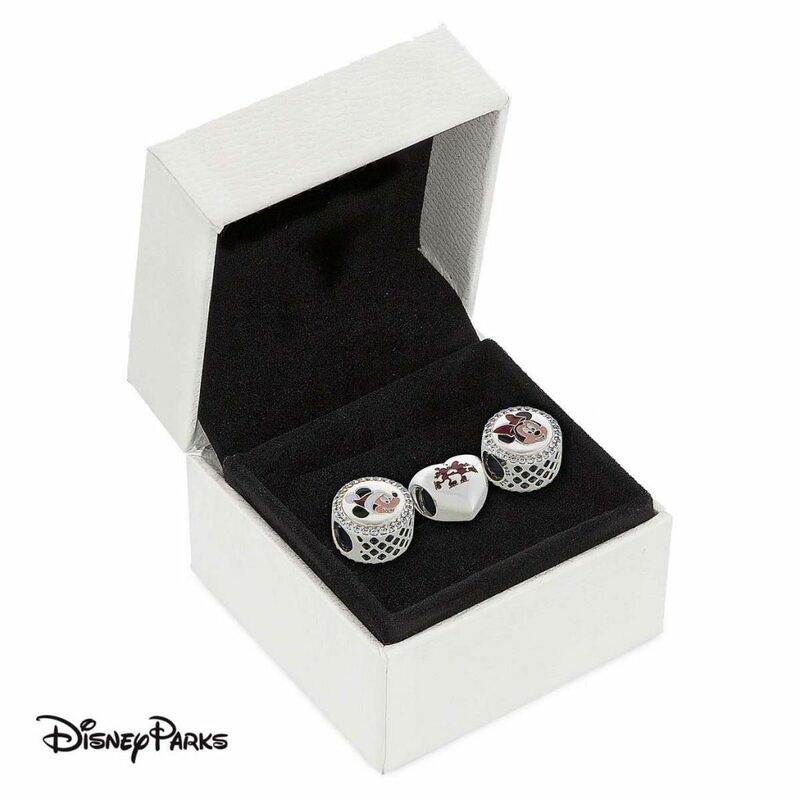 Treat your loved one to a special PANDORA Disney Parks Holiday Gift Set! PANDORA Disney Parks have released a special gift set for Walt Disney World and Disneyland resorts. Make the holidays sparkle even brighter with this sweet charm trio! The Santa Mickey and Minnie Charms are depicted in mixed colour enamels. I love the cute open mouthed laughing expression on their faces. Both charms have twinkling cubic zirconia stones surrounding the edges. 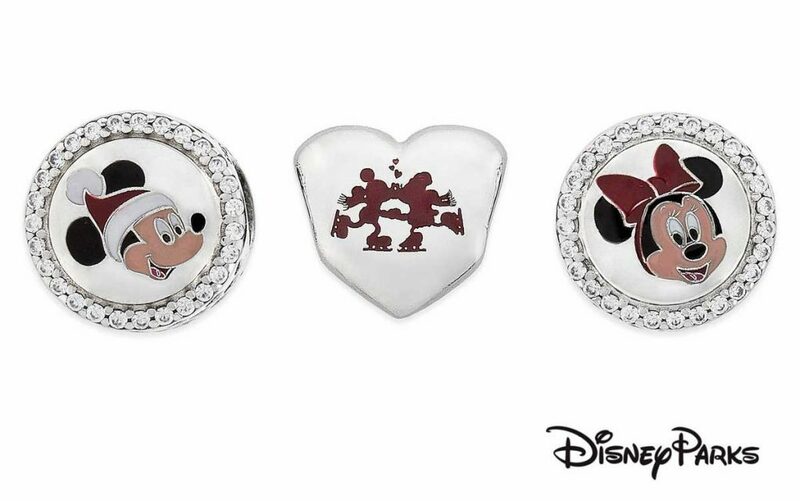 The Mickey & Minnie Charm is perfect for winter and pictures Mickey and Minnie sharing a loving kiss whilst ice skating. I especially love the detail of their scarfs fluttering in the breeze! The PANDORA Disney Parks Mickey & Minnie Holiday Gift Set is $225 USD and is only available online at ShopDisney.com or within the Disney Parks. The PANDORA Disney Parks Mickey & Minnie Holiday Gift Set would make a charming gift for a loved one and is extra special as a gift set. 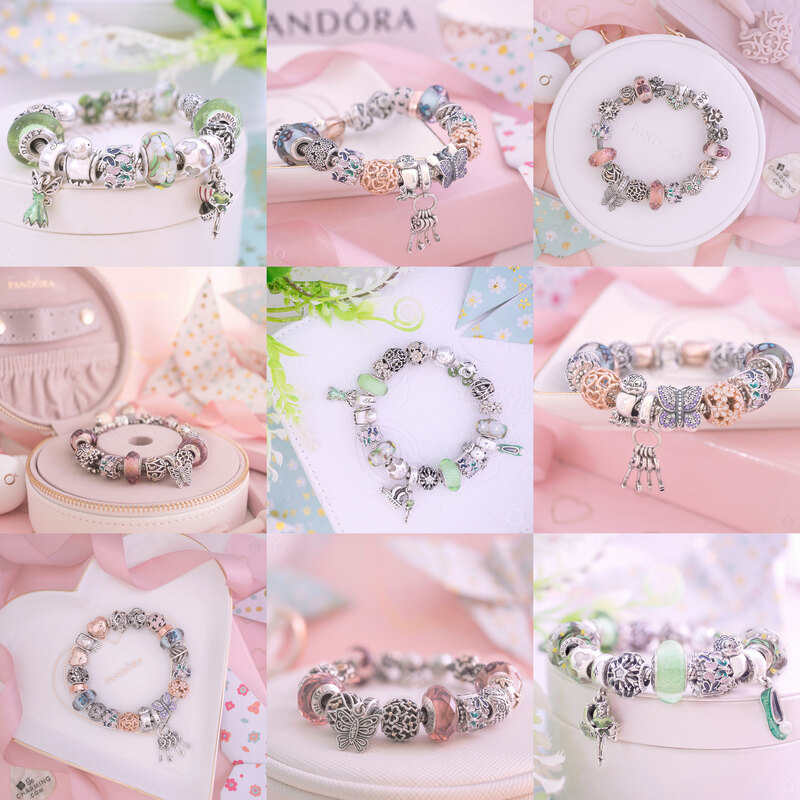 Do you collect the PANDORA Disney Park charms? Let us know in the comments below!